The name of the oboist and conductor Alexey Utkin is now well known both in Russia and abroad. His great natural talent was developed by the brilliant musical education he has received in the Moscow Conservatory. Later he has got a wonderful experience as a member of the chamber orchestra The Moscow Virtuosi headed Vladimir Spivakov. All this made him very soon a notable figure in the modern Russian musical life. It was Utkin’s historical breakthrough which introduced oboe as a solo instrument on the world stage. In critics‘ opinion he «transformed oboe, an instrument of the background, into the hero of wonderful events». Having courageously started to perform all solo compositions created for oboe, he began expanding the range of the instrument and its‘ potentialities at the expense of the special arrangements for oboe. The performance of compositions by Antonio Pasculli became the bright example of Utkin’s musical virtuosity. Today the compositions by Bach, Haydn, Vivaldi, Mozart, Richard Strauss, Shostakovitch and Britten are all in the musician’s repertoire. 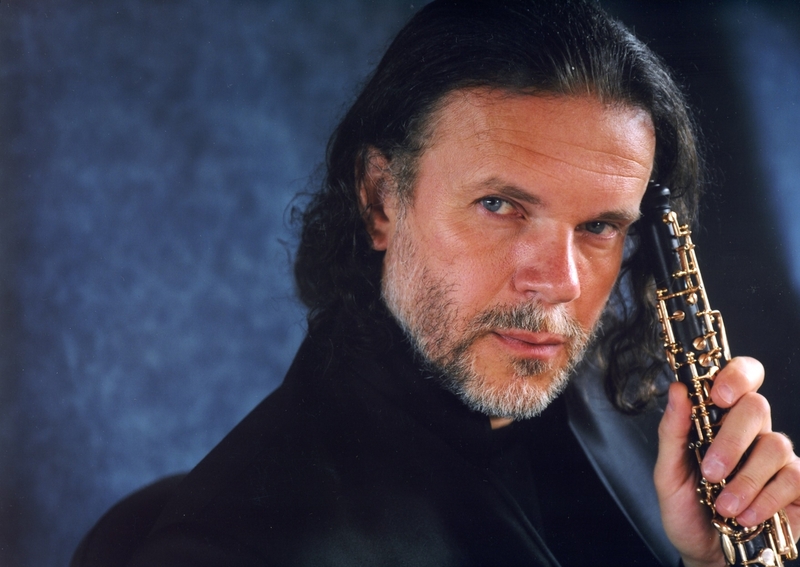 Performing original works for the oboe, Alexey Utkin also expanded the range and potentialities of the instrument thanks to special arrangements for the instrument and today his repertoire as a soloist comprises numerous compositions from Bach and Vivaldi to Britten and Penderecki. The concerts with Alexey Utkin all over the world took place in the most prestigious concert halls: Carnegie Hall, Avery Fisher Hall, Concertgebouw, Academia Santa Cecilia, Champs Elysees Theatre, Palau de la Musica (Barcelona), Auditorio Nacionale (Madrid), Hercules-Saal (Munich), Beethovenhalle (Bonn), where he is frequently invited to perform with most famous ensembles. Many of his solo programs won attention of recording companies, RCA-BMG (Classics Red Label) is one of them. Concerts by Bach for oboe and oboe d’amour, works by Rossini, Pasculli, Vivaldi, Salieri, and also compositions by Penderecki are among the recordings. As a soloist Alexey Utkin performed with such famous musicians as Vladimir Spivakov, Yury Bashmet, Natalia Gutman, Eliso Virsaladze, Alexander Rudin, Nikolai Petrov, Valery Popov, Dmitry Khvorostovsky, Elena Obraztsova and many other stars of the classical stage, he also cooperated with famous drama actors – Alexander Filippenko, Mikhail Kozakov, Alexander Sokolov. Alexey Utkin’s experiments with famous jazz musicians Igor Butman, Valery Grokhovsky, Mikhail and Andrey Ivanov and performers of ethnic music are of great interest. On the peak of his solo career, Alexey Utkin also established his reputation as a talented conductor and inventive musician whose projects thanks to his musical broadmindedness are extremely interesting both for the philharmonic audience and for the fans of the alternative trends of music and theatre. In 2000 Utkin set up and headed The Ensemble of Soloists “Hermitage”. The ensemble housed performances in the best halls of Russia, toured abroad, participated in international contests, gave concerts with many famous singers, instrumentalists and actors, and recorded over 10 CDs. The repertoire of the “Hermitage” includes instrumental and choral compositions of various epochs: Bach cantatas, Handel operas, fragments from operas by Verdi and Mozart as well as musical pieces written on the borderline of different musical styles combining jazz, rock and ethnic trends. The ensemble gave a few multi-genre performances on the basis of works by Russian writers Pushkin, Gogol, Tutchev. Noteworthy is also the participation of Alexey Utkin and his ensemble “Hermitage” in the production “Portrait” by N.Gogol in the Moscow Youth Theatre. Alexey Utkin successfully combines concert activities with the professorship in P.I.Tchaikovsky Moscow Conservatory. In 2010 Utkin was invited to take the position of the Artistic Director and Chief Conductor of the State Academic Chamber orchestra of Russia. The musician plays exclusively on Lorée instruments. He has notably represented F.Lorée at the International Double Reed Society (IDRS).